The Motley Fool Canada » Investing » 3 Perennial Underperformers: Time to Dump or Hold? 3 Perennial Underperformers: Time to Dump or Hold? One of the most difficult things about investing in the market is knowing when it’s finally time to throw in the towel on an investment. This is particularly true when a company has passed through a very public and very painful turnaround and the prospects of a profitable turnaround are either so slim or so far down into the future that it’s better to cut losses and invest elsewhere. Here are three such investments to consider. Bombardier Inc. (TSX:BBD.B) is the first company that comes to mind in this scenario. The development of the formerly known CSeries aircraft almost bankrupted the company, with budget and project overruns of $2 billion and two years each weighing heavily on the company and its shareholders. The fact that there were several more setbacks ranging from the much-publicized dispute with the U.S. Department of Commerce, a lack of orders, receiving multiple bailouts from Quebec and the federal government and then finally passing on controlling interest of the entire project to European behemoth Airbus has been anything but enjoyable. That’s not even touching the company’s rail division with an assortment of multi-year delays and embarrassing work defects of its own. Here’s the weird part about Bombardier: despite all of the delays and setbacks, the business keeps rolling in, and has an enviable product portfolio in its global business jet line. If Bombardier can continue to make strides in improving delivery and not jettisoning every successful project it brings to fruition, it might be considered as a promising long-term play. As it stands, the company may be too risky for most. Cameco Corporation (TSX:CCO)(NYSE:CCJ) is another great example of a promising business that just can’t catch a break. Weak demand and a glut of supply have wreaked havoc on uranium prices since the Fukushima disaster in 2011. As a result, those weak uranium prices have eroded any sense of profitability from the company resulting in Cameco ceasing operations in well-performing mines and slashing costs at its corporate offices. Adding to those woes is a long-standing dispute with the CRA that could see Cameco liable for a $2 billion tax bill. Cameco breathed a sigh of relief earlier this year as the court ruled in Cameco’s favour on the matter, but the celebration was short-lived as the CRA has filed an appeal. Cameco’s efforts have been successful in reducing the supply glut. In the most recent quarter, the company actually turned a profit. That shouldn’t encourage investors to jump on board anytime soon though; the stock is clearly still in turnaround mode and only those investors already invested and with a high tolerance for risk should consider this stock for anything other than a very long-term holding. Rounding out the list is Bausch Health (TSX:BHC)(NYSE:BHC). Formerly called Valeant, the company amassed a massive amount of interest on the market through a series of cheap loans that were used to acquire newly developed and established drugs. After a sometimes drastic price increase, those drugs were released to the lucrative distribution network of the company. Unfortunately, the cheap loans had to be repaid, and continuing scandals at the company – once the darling of the market with a cap higher than some of the big banks — resulting in its crashing down down by over 90% in a very short period. The end result was new leadership in the C-Suite, a new name and a focused business model that wasn’t fueled by cheap loans. Bausch has some of the best prospects for the long term, as it has already bit off a considerable amount of its debt and established a series of viable and profitable drugs to bring to market to provide annual revenue over the next decade. Bausch is steadily regaining investor confidence. Bausch may not be a screaming buy, but its foundational approach to fixing the problems of the past will make the company n intriguing investment option for the future. 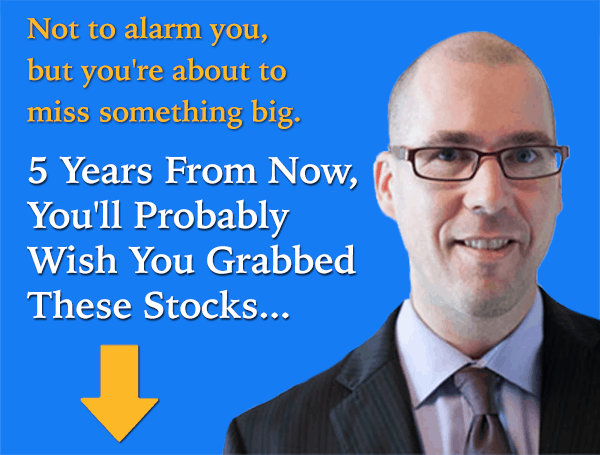 Fool contributor Demetris Afxentiou has no position in any of the stocks mentioned. The Motley Fool owns shares of Bausch Health Companies.